Being in Utah, Mormonism is just part of our culture! Like it or not! 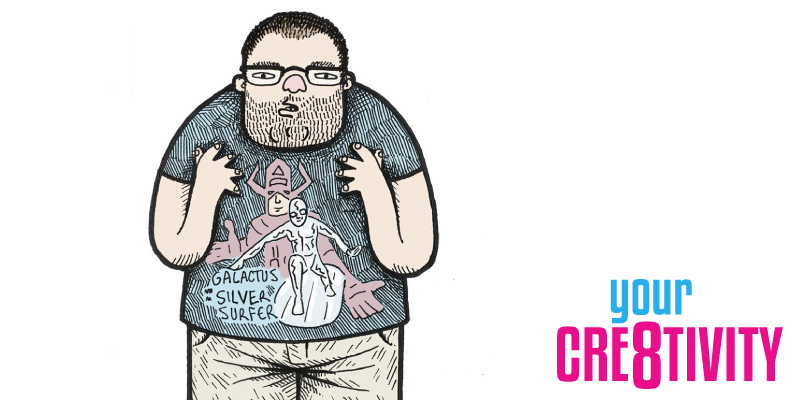 MATT PAGE is local illustrator and designer who is able respectfully lampoon it with incredible artwork and style! Check out our interview with him and some of his artwork below! In Your Own Words, Describe What You Do. For me personally, I kind of feel like the only way to feel fulfilled is to be constantly creating and making stuff. Whether it’s shocking them, making them laugh, or making them think, I feed off of using my creativity to get a reaction out of people. I like to search for a unique angle on whatever it is I am creating or trying to express. I’m not the best craftsman or draftsman, but I strive to always have a solid or clever concept in my work. I like to predict what people’s expectations will be and surprise them with a twist to those expectations. I also feel like most of my work has some kind of inside joke in it. People love the feeling of “getting it” and knowing that the next person doesn’t “get it.” I guess I’ve mostly known for my Mormon culture-themed artwork, which is never straightforward. For example, my Garbage Pail Saints project. To appreciate it, you have to be familiar enough with Mormon culture (being in Utah makes that part easy) and also known what Garbage Pail Kids are (which for the most part, is a pretty specific age group). In addition to that, you can’t be too conservative or self-serious or uptight, if you’re going to appreciate my take on things. I’ve been drawing as long as I can remember. My dad used to bring home reams of printer paper from his work and was perfectly happy to just sit at the kitchen table and draw monsters and ninjas and superheroes all day long. That leads to taking art classes in school, being the cartoonist in my high school newspaper, and then pursuing art degrees at the Salt Lake Community College and the University of Utah. My day job now is as an illustrator and graphic designer at a scrapbook company, drawing cute and trendy things during the day and then drawing more twisted and humorous stuff at night and on the weekends. I take inspiration from many sources. From MAD Magazine and Garbage Pail Kids to street artists and Disney animation. From Peter Saville (the graphic designer who designed all of the Joy Division and New Order album and promotional artwork) to Jack Kirby (the king of comics). I’m inspired by the great Renaissance painters, modern artists, pop culture artwork, and packaging. I love ancient mythology and religions and their carvings and artwork. Ancient Aztec carvings, Native American petroglyphs, African textiles and masks, Egyptian hieroglyphs and paintings. I am inspired by other cultures, their lore, creation myths, and history. 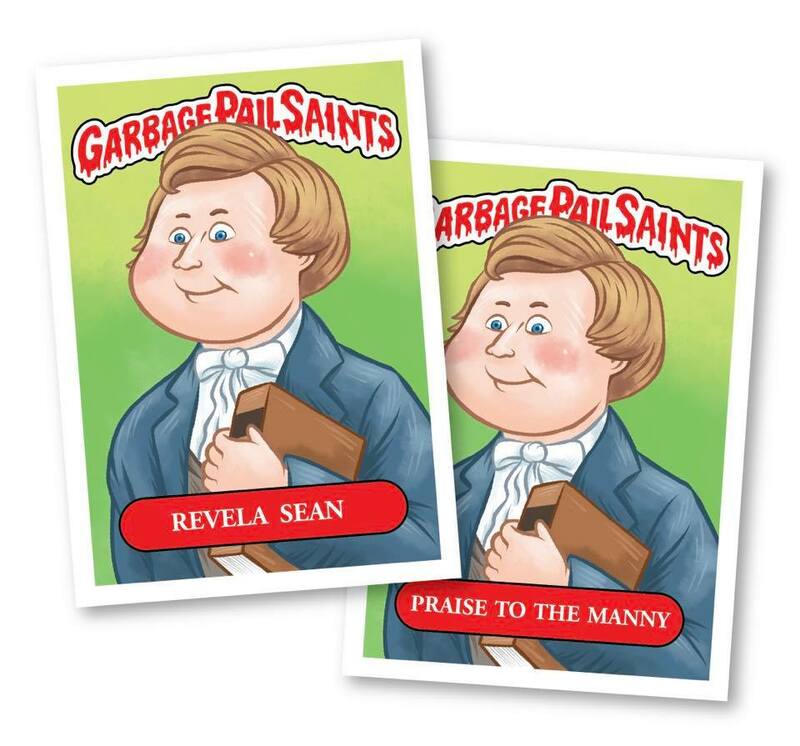 What Was The Inspiration Behind Garbage Pail Saints? Mormon Prayer Candles? I grew up with Garbage Pail Kids and they helped form my sense of humor personality. Their sick irreverence helped form who I am today. My growing up in the Mormon church also helped form who I am today. So it really just kind of felt natural to combine the two: a mashup of the pop culture and the Mormon culture that both play an important part in my life. 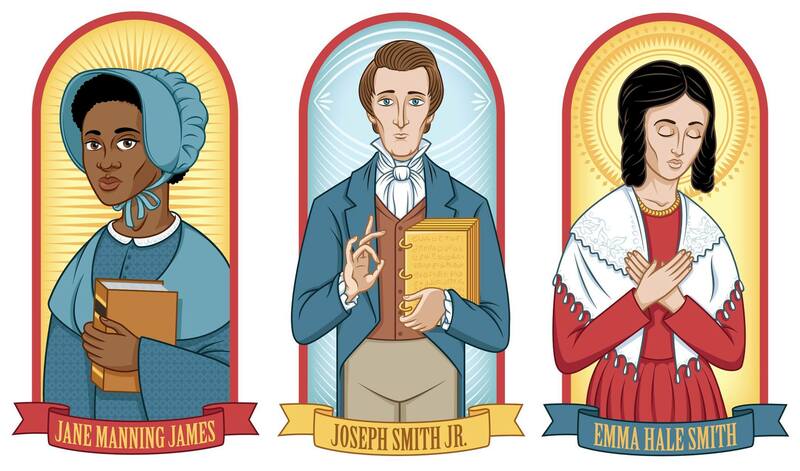 As for the Mormon prayer candles, as I said, I love religious iconography and I thought it would be fun to see an outside style applied to the saints of my culture. The candles are actually a mashup of 3 things: Mormon historical figures, drawn in the style of the Orthodox church iconography and then applied to Catholic style prayer candles. I like the idea of the three approaches to Christianity merging and blending into one another. Have You Illustrated Any Other Books Besides B Is For Brains? B Is For Brains is the only book offer I’ve said yes to. I have a hard time working in the same style for multiple pieces – I always feel like I have to switch it up and do something different from the last time, or else I get bored and feel like people may think I’m just doing the same thing over and over. So doing multiple pages of a book that feels cohesive from the first page to the last, isn’t normally something I enjoy doing. That said, the concept of B Is For Brains is something I couldn’t say no to. I love drawing cute things and gross things, so this book felt like the perfect match for me. What Do You Love-Hate Most About What You Do? What I mentioned about not wanting/being able to do the same thing over and over – I think that has limited me as an artist in some ways. If I could find a single style or theme that I could focus on, I could really perfect that and make that my thing. But alas, that’s just now how my creativity seems to work.The whole creative process is a love-hate thing for me though. When a piece works out, it’s a great feeling. But when I spend a few hours working on a piece and I just can’t get it to work, it’s crushing and can leave me feeling worthless. But the only thing worse would be for me to not have that creative outlet at all. Is There A Project Out There That You Haven’t Tackled Yet? There are tons. I feel overwhelmed by all the things I wish I had the time/attention/ability to do. There are a few that I have on my list that I think I will actually get to one day. It’s a list of things to work toward, but it’s also a list of things I dread having to start. One thing on my list was a Mormon themed set of Tarot cards, but then last year I met an artist who was working on a set of his own. His work was beautiful and way better than I could have done, so I was actually relieved to mark that off my list. He’s got it. I’ll find something else that’s not already out there to focus on instead. BONUS QUESTION 001: Favorite Muppet? Why? 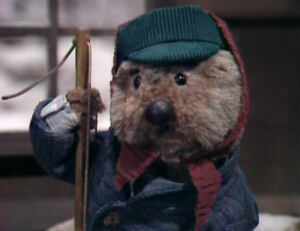 actually members of the Muppets gang, My favorite Jim Henson muppets are Big Bird and Emmett Otter. I grew up thinking both of them would be great guys to be friends with. And I guess I still do. BONUS QUESTION 002: Who Would Play You In Your Life Story? MATT PAGE is an artist living in Farmington, Utah. He sometimes sells his art at festivals and conventions around the Salt Lake City area. In 2016 he illustrated and self published a children’s board book called B Is For Brains: An ABC book for the Zombie Apocalypse. You can find that book and other pieces of Matt’s art for sale at his ETSY SHOP. PODCAST 014: "Artist Geri Cordova"
PODCAST 022: "Professor Will Terry"
PODCAST 038: "Sculptor Cory Clawson"
PODCAST 040: "Artist Kat Martin"